As a value added distributor Nimans offers much more than unrivalled product supply. Our Trade Counter is manned by Industry leading experts available to offer the best advice and service on your doorstep. Take advantage of expert knowledge, an expanded product range, huge stock levels and competitive pricing. 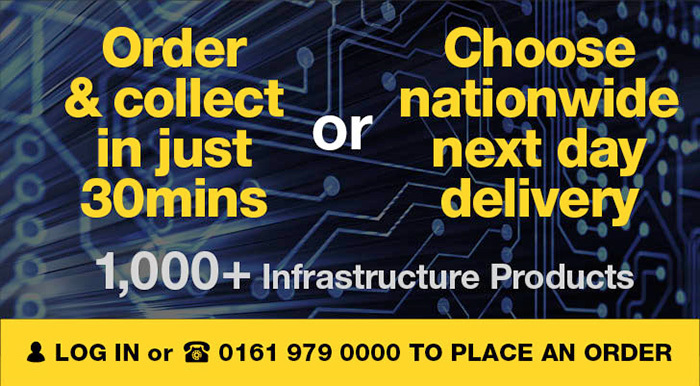 We’re ready when you are, combining the convenience of immediate pick up during office hours or next day delivery. We work with all the leading brands across the Data & Infrastructure arena, to assure you of the widest choice and finest quality products, designed for the highest performance. From Cable Management, Tools & Cabinets to Trunking, Fibre and Power Distribution. You’ll find it all available at Nimans Trade Counter.